A deal on food stamps in Congress could trim as much as $90 a month from 850,000 of the nation's poorest who seek help to buy groceries. The measure is part of the latest farm bill and aims to cut about $9 billion from food stamps over the next 10 years, according to the Congressional Research Service. It's less than the $39 billion that Republicans had wanted to cut from the program; but double what Democrats had suggested. Lawmakers characterize the deal as getting rid of a "loophole" that has helped 17 states dole out more generous food stamps to some people who also get as little as $1 dollar in federal help to heat or cool their homes. They also stress the move won't cut families from food stamps, it will just shrink the amount. "They're calling it a loophole, but it's taking away real money from real families," said Joel Berg, executive director, of the New York City Coalition Against Hunger, an advocacy group. "It seems like they're just thinking: We must pass a farm bill at all costs, even if the cost is throwing 800,000 under bus." The food stamp changes are part of a larger farm bill that remains stalled in Congress over a separate measure to stabilize dairy prices that has irritated House Speaker John Boehner and other Republicans. The goal is to get it passed before the spring crop planting season, because farmers need to know what to expect for their corn, wheat or tobacco yields. The bill would end direct payments to farmers for planting crops and replace it with a revamped crop insurance program. 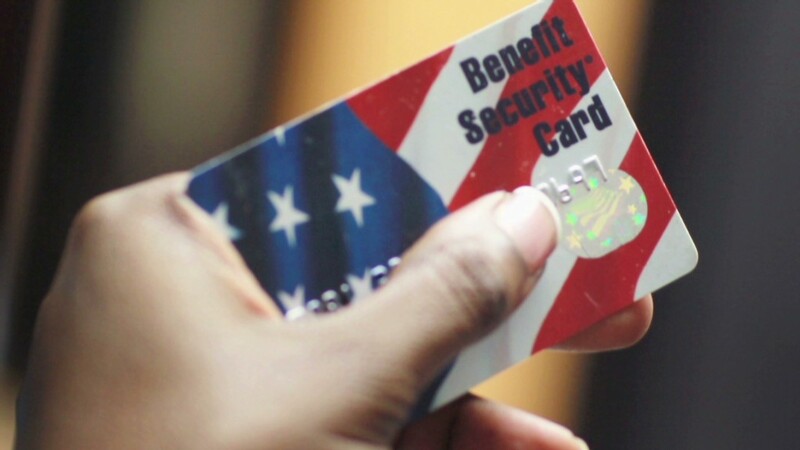 The food stamps program is fully funded for the next two years by the most recent budget deal. Delaying the farm bill won't jeopardize recipients from getting benefits. However, the bill would result in less funding in coming years. Food stamps was the signature program of President Lyndon Johnson's War on Poverty during the 1960s, when it was revamped. Since then, research has shown that fewer poor children went hungry or had nutrition-related developmental delays. Also, birth weights grew for children of poor mothers on food stamps, according to National Bureau of Economic Research report. Congress plans to change the formula state officials use to calculate food stamp benefits, essentially ending something called a "heat and eat" maneuver, which families encounter when they go to automatically enroll in food stamps and federal energy help. The move essentially ended up paying some families more than they would have otherwise gotten. Under the new farm bill, nothing changes for families who get more than $20 a year in federal heating assistance. Congressional aides say the new changes end an unfair maneuver by states to inflate benefits for the poor families claiming heating bills they don't have. Aides say the changes will help strengthen the food stamps program and protect it from further cuts in the future. The new farm bill would affect families that get food stamps in 17 states, including 300,000 families in New York, according to Sen. Kirsten Gillibrand's office. At this point, the food stamps deal appears to have support of key lawmakers, including agriculture chief Sen. Debbie Stabenow and House Democratic Whip Steny Hoyer. "I don't like the fact we went further on the cuts, but that's over 10 years," Hoyer said on C-Span on Sunday. "It's not as bad as it could have been and much better than I would have expected."